Below is another angel trombonist I just added to the Trombone History Timeline. Quite a nice little drawing, in my opinion. 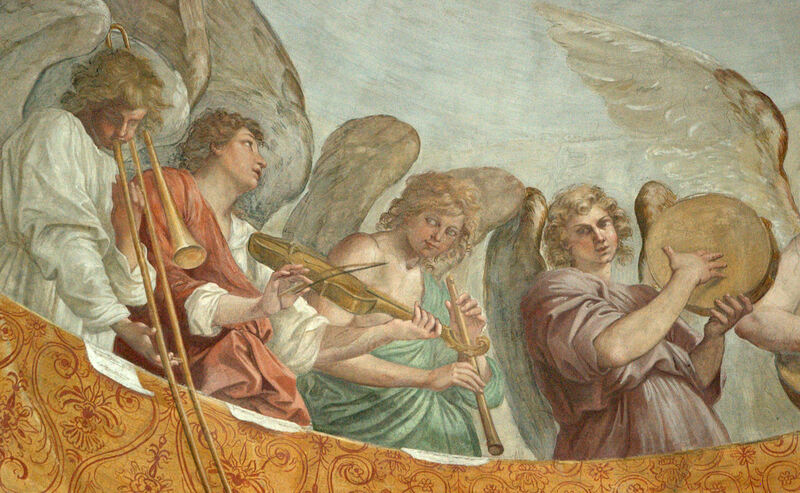 For many more pictures of angels playing trombone, see Angel Trombonists Throughout History: 50 Images. c. 1610—Loreto, Italy: Artist Cristoforo Roncalli, known as “Pomarancio,” makes a set of preparatory red chalk drawings for a fresco to be painted on the cupola of the Basilica di Loreto (fresco now largely lost). 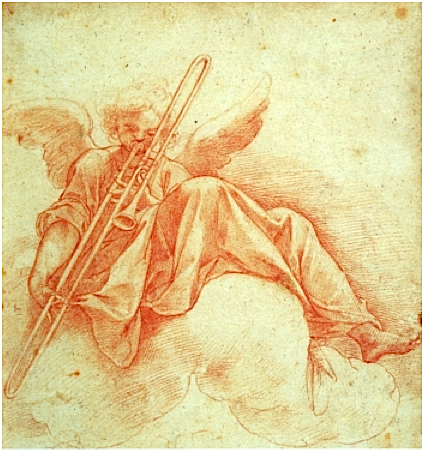 Among the drawings is an angel-trombonist (see below image; public domain). Glad to hear it. I enjoy them too! Thanks for dropping by.